“Dunkirk,” Christopher Nolan‘s dazzling and cinematically daring account of the WWII evacuation of Dunkirk beaches by Allied forces, was named best picture of the year, and Nolan best director, by the Florida Film Critics Circle. I voted. The cast and crew of Sean Baker‘s “The Florida Project,” a low-budget, documentary-style study of life among the very poor, told largely from the point of view of children living in the shadow of the Mouse House, was honored with the FFCC’s annual Golden Orange award. The honor is generally awarded to a Florida-based movie, event, organization, or person making a significant impact on the film community, statewide or beyond. The film’s subject matter and unique vision and narrative style have drawn critical kudos and attention from around the world. “Blade Runner 2049,” Ridley Scott‘s belated sequel to his 1982 sci-fi classic, won in four categories, for best cinematography, art direction/production, visual effects, and score. “I, Tonya”: Margot Robbie, best actress, as troubled skating star Tonya Harding; and Allison Janey, best supporting actress, as Tonya’s mother from hell. (Guillermo del Toro‘s exquisitely photographed, beautifully acted, emotionally resonant and often technically dazzling “The Shape of Water,” an odd but compelling sci-fi/horror/fantasy cross between “The Creature From the Black Lagoon” and “Beauty and the Beast,” was my favorite film of the year. It received 10 FFCC nominations but, strangely, got skunked in every category. But that’s a subject for another post, one with my own Top 10+ list). “Birdman” was named best picture, and the theater-world satire’s star Michael Keaton was named best actor in this year’s Florida Film Critics Circle Awards. Richard Linklater’s innovative “Boyhood,” 12 years in the making, also took top honors, winning for best director and supporting actress (Patricia Arquette). Wes Anderson’s quirky, gorgeously composed “The Grand Budapest Hotel” grabbed the most FFCC honors, with awards for best original screenplay, best ensemble, and best art direction/production design. 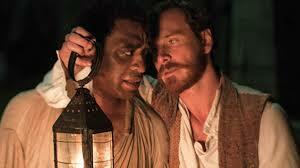 British filmmaker Steve McQueen’s searing, emotionally moving and often brutal “12 Years a Slave” is the big winner in this year’s Florida Film Critics Circle (FFCC) Awards, taking home honors in the categories of best picture, best director, best actor for Chiwetel Ejiofor, supporting actress for Lupita Nyong’o, adapted screenplay for John Ridley, and breakout award for Nyong’o. December 18 – With five major wins, including Best Picture, Best Actor, Best Supporting Actress, Best Director and Best Adapted Screenplay, Steve McQueen’s riveting “12 Years a Slave” swept the 2013 Florida Film Critic Circle Awards, beating out such highly touted contenders as “American Hustle” and “The Wolf of Wall Street.” Alfonso Cuoron’s “Gravity” was the only other multiple winner, earning top marks for its cinematography and special effects. Woody Allen again proved his skill with actresses, as Cate Blanchett won Best Actress for “Blue Jasmine” while newcomer Lupita Nyong’o walked away with the prize for Best Supporting Actress for her devastating work as Patsey in “Slave “. She was additionally acknowledged by the group, winning the prestigious Pauline Kael Breakout Award. As stated before, Cuaron’s hit sci-fi thriller brought a Best Cinematography win for Emmanuel Lubezki as well as for its mind blowing F/X. Spike Jonze’s whimsical meditation on life, love and technology, “Her,” earned him the Best Original Screenplay award while John Ridley was honored with Best Adapted Screenplay for his efforts in bringing “Slave” to the screen. In other awards, Cannes favorite “Blue is the Warmest Color” won a close race over “The Hunt” for Foreign Language Film, while “Frozen” narrowly defeated Hayao Miyazaki’s final effort, “The Wind Rises” for Animated Film. “The Act of Killing” edged out “Blackfish” for Best Documentary, while “The Great Gatsby” was touted for its Art Direction and Production Design. The Golden Orange Award, given for outstanding contribution to film, went to Miami Beach Cinematheque director Dana Keith, a tireless champion of foreign, independent and alternative film for more than 20 years. He has consistently programmed some of the most daring films to make the art house circuit and has played host to a variety of film festivals, big and small. Founded in 1996, the Florida Film Critics Circle is comprised of 21 writers from state publications. Bill Gibron of PopMatters.com and FilmRacket.com has served as chairman since March 2013. For more information on the FFCC, visit http://www.floridafilmcritics.com/. 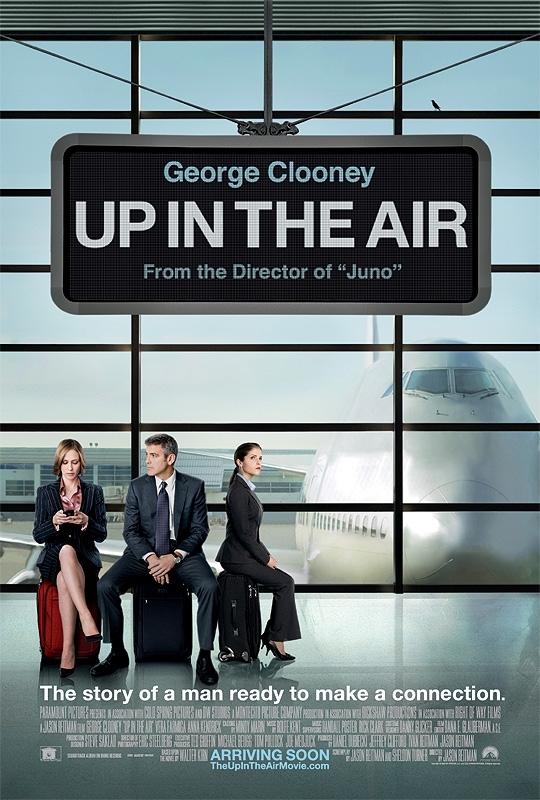 Jason Reitman‘s comic drama Up in the Air has landed top honors in this year’s Florida Film Critics Circle (FFCC) Awards, with prizes for best picture, Reitman’s direction and George Clooney‘s performance as a corporate axeman. Precious, the FFCC’s other big winner, a disturbing inner-city drama directed by Lee Daniels, won two top acting honors — Gabourey Sidibe, best actress, and the group’s Pauline Kael Breakout Award, in the title role; and hip-hop star and TV personality Mo’Nique, for best supporting actress. Founded in 1996, the Florida Film Critics Circle is comprised of 17 writers from state publications. Dan Hudak of hudakonhollywood.com has served as chairman since March 2008. For more information on the FFCC, visit floridafilmcriticscircle.webs.com.